An American dentist is reportedly responsible for the brutal butchering of one of Zimbabwe's most famous lions - and he paid thousands of dollars to do it. 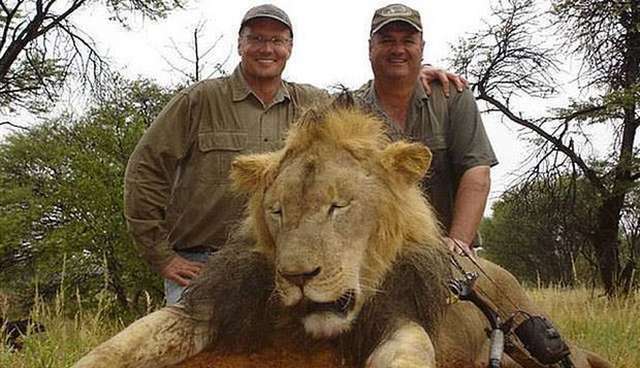 The Telegraph reported on Tuesday that Walter Palmer, of Minnesota, had paid $55,000 to kill the beloved lion Cecil, a 13-year-old male who lived at the protected Hwange National Park. In a statement on Tuesday, Palmer denied any wrongdoing. "To my knowledge, everything about this trip was legal and properly handled and conducted," he said. "I had no idea that the lion I took was a known, local favorite, was collared and part of a study until the end of the hunt." "I deeply regret that my pursuit of an activity I love and practice responsibly and legally resulted in the taking of this lion," he added. Palmer, who's a frequent big-game hunter, added that he hasn't been contacted by authorities but would cooperate if they reached out. 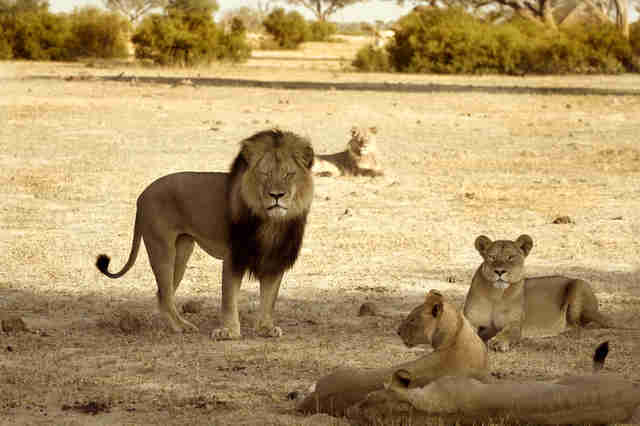 The conservationist world was shaken earlier this month when Cecil's death was announced. The lion was known for his size and distinctive black mane, and his death highlighted concerns over big-game hunting in Zimbabwe as well as Hwange National Park's safety - the park recently captured two dozen baby elephants and sold them to Chinese zoos. And despite Palmer's claims of legitimacy, the hunt bore every indication of being illegal. The hunters baited Cecil out of the park - where they couldn't legally kill him - then shot him with a bow and arrow, a favorite tactic of illegal hunters. 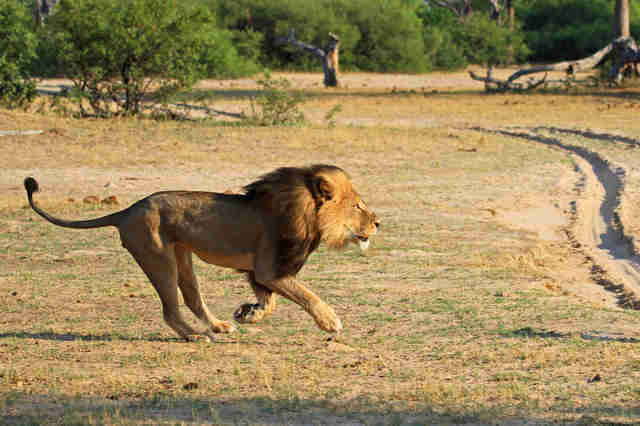 But Cecil didn't die, and the lion wandered helplessly for 40 hours before his killers tracked him down. The hunters shot him, beheaded him and skinned him. They also removed his tracking collar against park rules. The BBC reported Monday, before Palmer's name was released, that the hunter responsible for Cecil's death had bribed local guides with $55,000 to help him track and kill the famous lion. Several people have already been implicated in Cecil's killing. Theo Bronkhorst, the professional hunter who led the expedition, and Honest Trymore Ndlovu, who owns the land where Cecil was first shot, are due to appear in court this week as neither of them had a permit to kill the lion, according to a release from the Zimbabwe Parks & Wildlife Management Authority. Another professional hunter, Zane Bronkhorst, was also named. Palmer's link to big game hunting is enough to have the public up in arms. The Yelp page for his practice, River Bluff Dental, has been inundated with complaints; reviewers left hundreds of one-star reviews on Monday expressing their outrage at Cecil's killing. This isn't the first time the dentist found himself in trouble over a hunt. The Telegraph reported that he was sentenced to one year of probation in 2008 for lying to authorities about the location of a black bear kill. Meanwhile, conservationists and animal lovers are in mourning over the loss of the beloved lion. 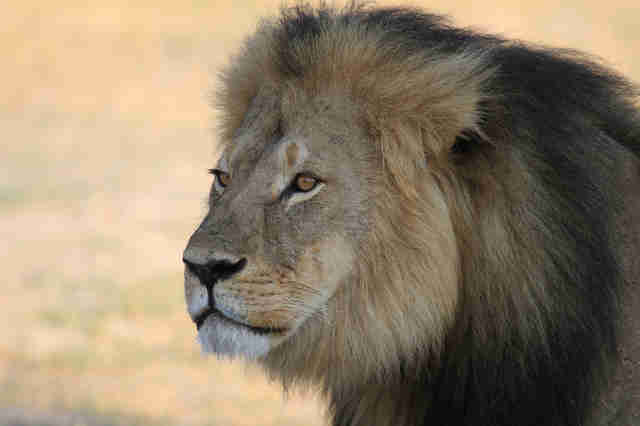 "He never bothered anybody," Johnny Rodrigues, head of the Zimbabwe Conservation Task Force, told the BBC. "He was one of the most beautiful animals to look at."